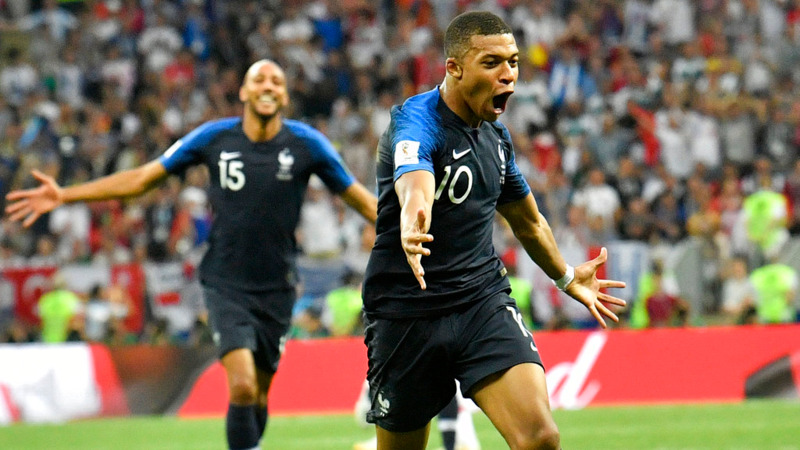 World Cup, World Cup and more World Cup — that's all France is talking about. 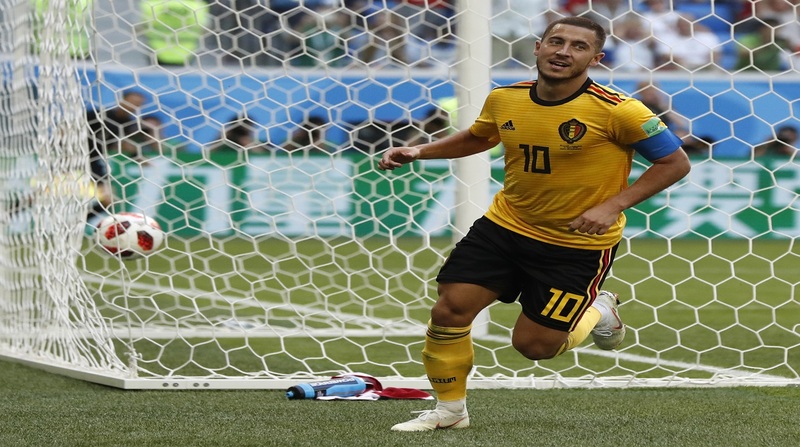 "Eternal Happiness" said Monday's headline in sports daily L'Equipe, summing up the mood of many who can't imagine the euphoria will ever fade. 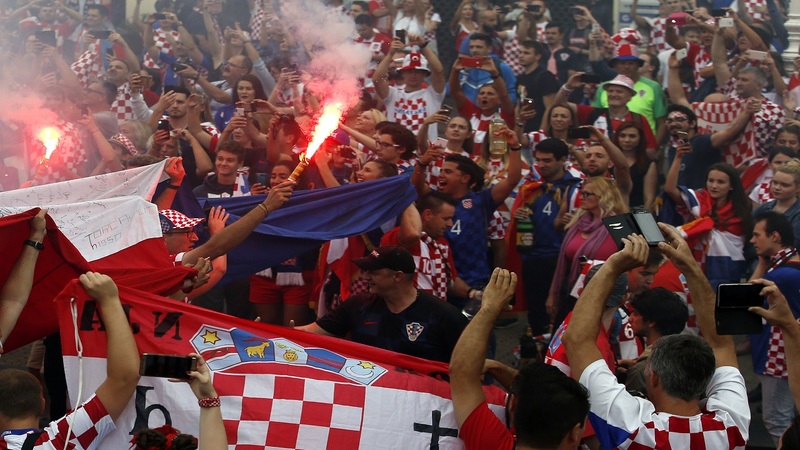 France is readying to welcome home the national soccer team for a Monday parade down the Champs-Elysees, where tens of thousands thronged after the team's 4-2 victory over Croatia Sunday. President Emmanuel Macron exulted on the field and in the locker room with the players, and is hoping their victory gives him a boost, too. The French, though, are more enamored of the players, like 19-year-old star Kylian Mbappe, and of their coach, Didier Deschamps, with a parody photo circulating online suggesting renaming Paris' most famous avenue "Deschamps Elysees." Sports Minister Laura Flessel said on Europe-1 radio that the victory allows France's youth — like those in the poor suburbs where many of the players grew up — "to dare to believe in their dreams." The victory glow brightened the Monday morning Paris commute, with young people in cars still shouting in celebration. In the eastern Paris neighborhood of Belleville, with the Eiffel Tower visible in the far distance, Vincent Simon said, "Both teams deserved to win. France won, and that's good for the country, that will do us good for some months." Fellow Parisian Florian Scaven only caught glimpses of the final from the maternity ward with his wife as she had a baby during the final. "We vibrated with the horns in the street. We are happy. Long live France." 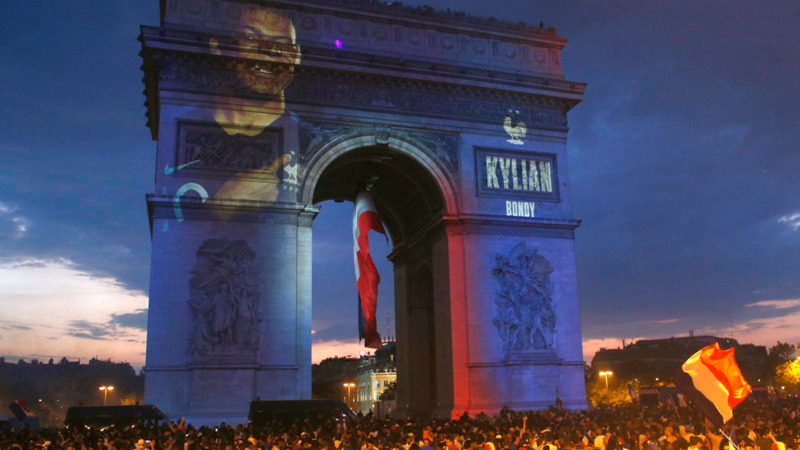 It was France's second-ever World Cup win, and came at a time when the people feel needy. "It represents enormous things," said Goffrey Hamsik, dressed in a hat resembling a rooster — the French national symbol — and a shirt with the No. 10 for Kylian Mpappe, the breakout star who hails from the Paris suburb of Bondy. Hundreds of police in riot gear were discreetly lined up on side streets to monitor revelers. Typically, celebrations in France end up with some broken shop windows and other destruction, and Sunday was no exception. Tear gas was lobbed at one point on the Champs-Elysees. About 4,000 police watched over the fan zone — packed to its 90,000 capacity — during the match, then moved to the Champs-Elysees and neighboring streets. As night fell, The Eiffel Tower flashed 1998-2018 to mark France's two World Cup titles. The Arc de Triomphe was awash in the national colors, lit with the rooster, the faces of the winning team and the words "Proud to be Blue," or French.